The HSK, Hanyu Shuiping Kaoshi 水平 考试 考试 is the official Mandarin test accredited by the Chinese Ministry of Education. It is considered to be the international standard for assessing the level of writing and oral language of the Chinese language, like the TOEFL for English. 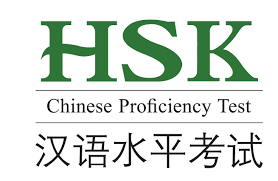 What is the HSK for? Having a level of HSK is today, compared to the weight of China to the international, an added value not negligible on a CV. It is however desired to validate at least a level HSK 4, that guarantees the employer to hire a person able to be professional in Chinese. Which level is appropriate for your needs? The HSK test consists of three parts: oral comprehension, written comprehension and written expression. The higher the HSK level, the higher the number of Chinese characters. It should be noted that, unlike the TOEFL, only the test that has been chosen to prepare is passed, level 1 to 6. The HSK test is valid with an average of 60% minimum. Where to attend the exam? To register in any country, you will need to log on to chinesetest.cn, the official website to have an HSK accredited by the Chinese Ministry of Education. To do this you go to the platform, you choose the city where you want to take the exam and you will be offered several centers near you. To prepare yourself it is advisable to take language courses with an accredited teacher which will allow you to obtain a solid grammatical basis. Learning the vocabulary can be done thanks to you either through applications such as Pleco or via books preparing at different levels of HSK, available in all the booksellers that you should sometimes ordering. In France you can also check with the Confucius institute.